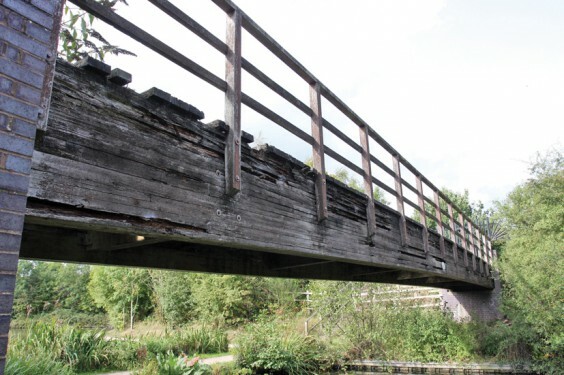 After years of pressure from The Worcester-Birmingham & Droitwich Canals Society and Alvechurch Parish Council, the Canal & River Trust (CRT) has finally agreed to demolish the derelict bridge on the “dead arm” of the canal at Alvechurch. Bridge 64, described as “an accident waiting to happen”, has been closed off for two years, but concerned residents reported that children were still trying to climb on the unsafe structure. Following an inspection, CRT decided to bring forward the demolition, which had been put off a number of times and was scheduled for April 2019. Work is due to begin on July 9, and CRT anticipates that it will take up to four weeks to complete. The towpath will remain open, but the woodland footpath will be closed for the duration of the work.